2.8″ On-Road Performance from JConcepts. There is a new 2.8” tire on the block and all-out speed rests in its DNA. In Aeronautics, G-Loc is the moment where consciousness is lost. The G-Locs 2.8” tire, by JConcepts is where consciousness begins. The super low-profile, aggressively treaded tire is purpose built for those aggressive speed-runs and specifically for vehicles capable of high-voltage or high-horsepower fun. G-Locs are competition inspired from the ground up to perform straight out of the package. Deep G-Loc tread-depth and style provides the healthy footing for maximum durability and ground pounding asphalt traction. Thick, reinforced tire carcass, with internal overlapping X-braced ribbing provides unparalleled support, reducing unwanted tire expansion, for gained high-speed control. G-Locs, are manufactured using the exclusive ROAR National Championship winning yellow compound for the best gripping performance. The 2.8″ G-Locs provide elements that combine light-weight, performance and durability with the inclusion of Profiled closed cell inserts. 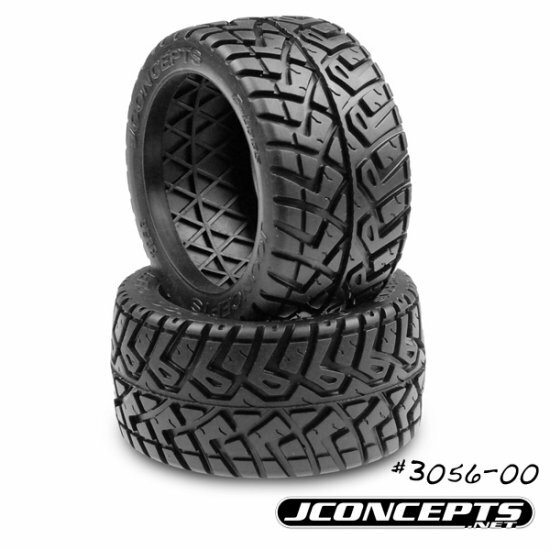 The highly successful insert material made it’s fame on the 1/8th off-road racing circuit and now into the JConcepts 2.8″ line. Feel at ease while doing high-speed runs with the durability and performance of the closed cell material which provides durability and feel when others run short. The low-profile diameter tire body profile with hefty G-Locs tread, together with the durable Profiled closed cell inserts has revolutionized speed tires for the most popular assortment of vehicles on the market. Your 2.8” equipped vehicle has never been more fun than when paired with a 3s Lipo or buzzing nitro engine and G-Loc tires. Wheelie popping speed combined with G-Locs traction and stability is a combination that is second to none. JConcepts is World Proven Innovation and Design.